This is a great product to help simplify a companies overall claims output with easy to read reports. Extremely easy to use and user friendly. Some many features to breakdown the total number of claims transmitted for your practice. You can check patient insurance eligibility in real-time which is a great added bonus and a tool to easily implement to all users making it possible to resubmit rejected claims due to inaccurate insurance information without having to research elsewhere. helping improve payments because you can easily and quickly identify why a claim failed and wasnt able to be transmitted to the insurance. It gives you a list of the failed claims with the error description so you can quickly pull up the claim in Allscripts PM, correct it, and resubmit it for payment. ImagineBilling Practice Management Software improves cash flow, simplifies processes and provides unprecedented, real-time productivity monitoring by streamlining the billing/collections workflow to help clients achieve peak performance and measurable results. Edgemed Practice Management allows you to manage profitability, claim rejections, and billing processes with medical billing and collection tools. * We monitor all Allscripts PayerPath reviews to prevent fraudulent reviews and keep review quality high. We do not post reviews by company employees or direct competitors. Validated reviews require the user to submit a screenshot of the product containing their user ID, in order to verify a user is an actual user of the product. Hi there! 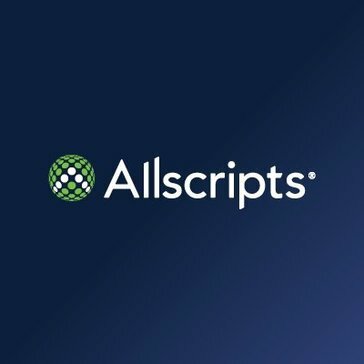 Are you looking to implement a solution like Allscripts PayerPath?